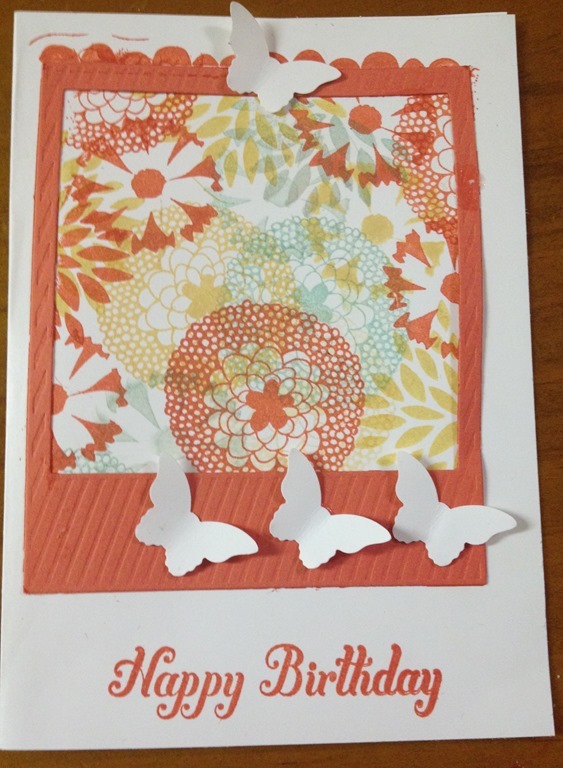 My vellum card class was a huge success. Most participants had not used vellum before and enjoyed the opportunity to learn more about vellum. 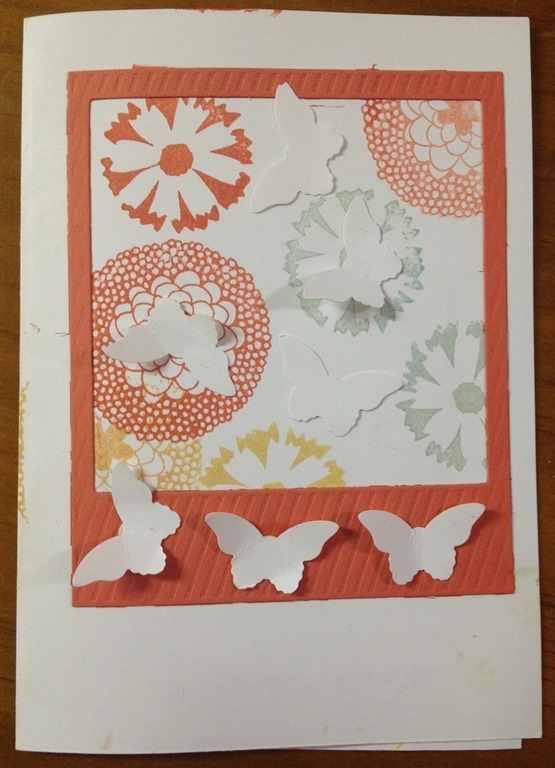 This is a very simple but stunning card we made during the class. If you live in Brisbane and would like to know more about my classes please contact me. 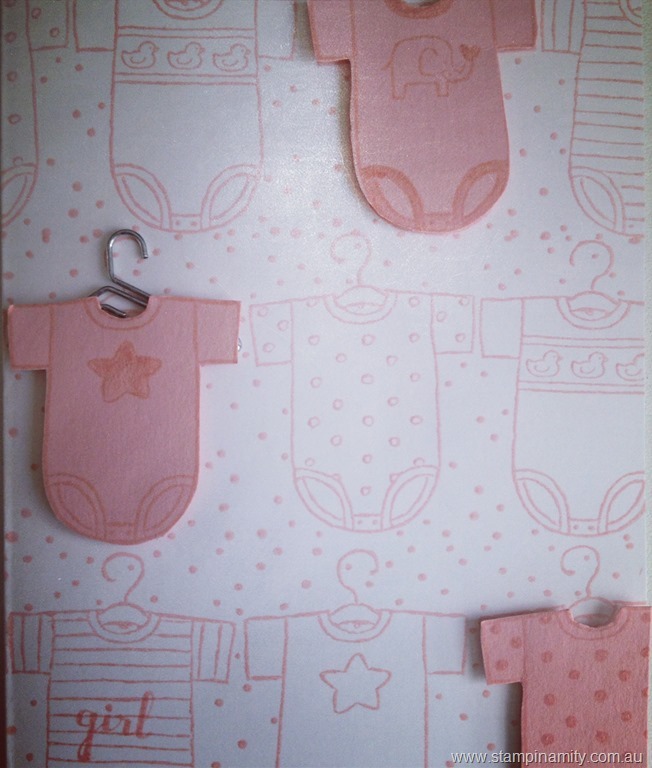 You can also attend the card and scrapbooking classes by mail. There were only 3 layers on the card. The base Whisper White cut at 14.8 x 10.5 cm, folded and scored down the middle. The Daffodil Delight measures 14.3 x 10cm. The vellum is 13.8 x 9.5cm. 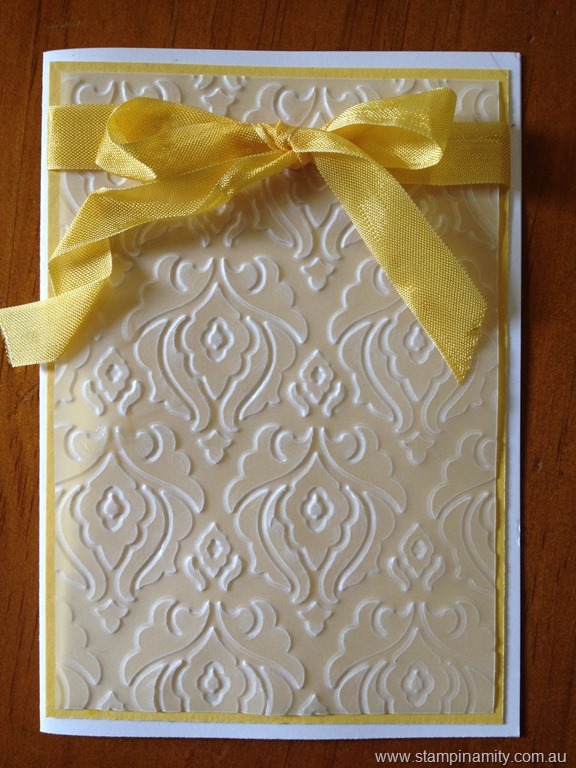 The vellum was run through the Bigshot using the Beautifully Baroque embossing folder. To adhere the vellum to the Daffodil Delight cardstock I used double sided tape but the tape was covered with the co-ordinating Daffodil Delight seam binding ribbon. One thing with vellum is because it is see through you have to be careful where you place your tape or glue. This card was easy to hide the tape. I just used the ribbon. This is just a stepped up version. Of course this card is stunning by itself. It didn’t really need any thing else added to it. 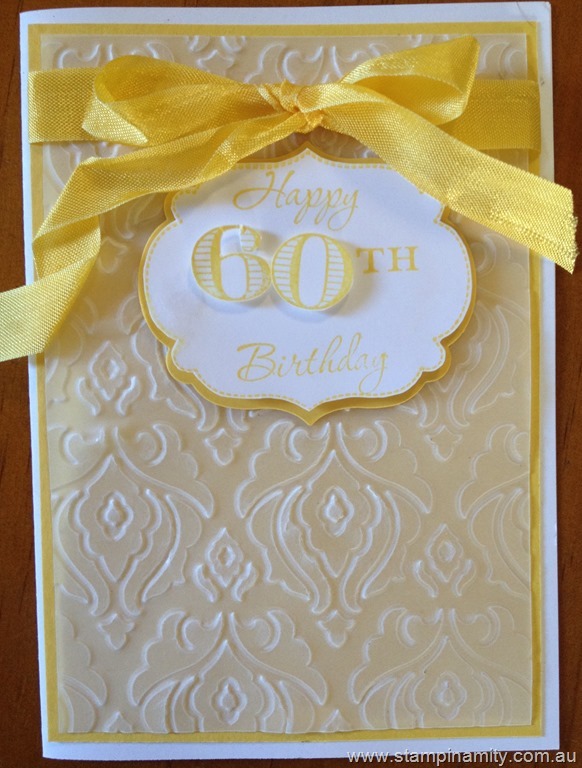 A friend asked me to make a card for her and I used the elegant design and just added the birthday details. 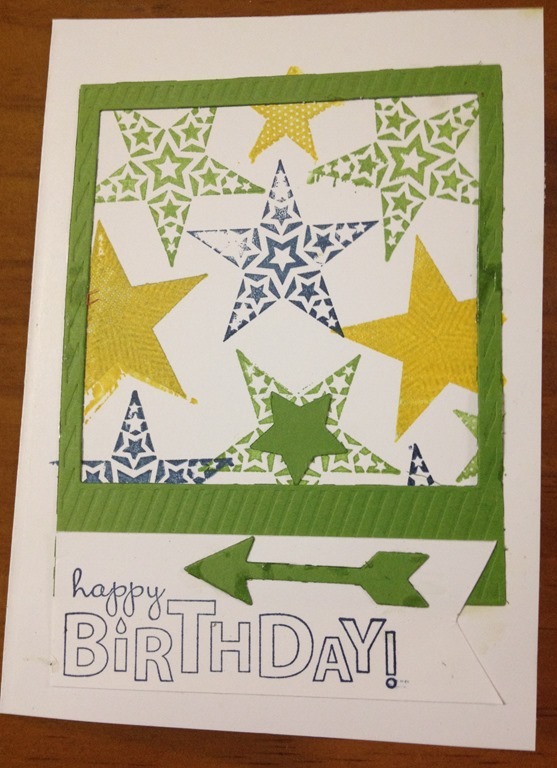 Why don’t you try vellum on your next card and show me what you’ve done?